If you’re shopping for a new or quality pre-owned vehicle near East Chicago, IN, you’ve come to the right place. Mike Anderson Chevrolet of Merrillville is dedicated to helping you find the perfect vehicle at the perfect price. With the help of our finance center and leasing specials, you’ll soon see why so many customer rave about their Mike Anderson experience. To get personalized car-shopping assistance or to see our new & used inventory in-person, visit us today at 1550 East 61st Ave in Merrillville or call 219-947-4151 for more information. Our flexible financing options help make car-buying affordable for all. We work every day with good, bad and no credit to find a solution for every customer. With our customizable leasing and purchasing options, we can offer the right financial package for you. We also strive to make this Chevy dealership experience streamlined using online forms and applications that can be completed before you even set foot in the showroom. For instance, before you start looking for specific vehicles, it can be helpful to establish your budget. Use our simple payment calculator to estimate your monthly payments based on the down payment you can afford. 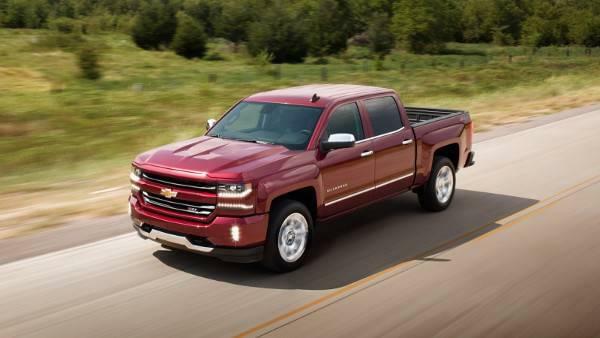 With our online finance application, you can come to the showroom near East Chicago, IN pre-approved and ready to start selecting the best Chevy model for you. As a top-rated Chevy dealership, our new & used inventory is comprised of top-rated vehicles. Visit our showroom near East Chicago, IN to learn about available Chevrolet dealers specials that make our sedans, trucks, SUVs and sports cars the most affordable on the market. If you’re looking for a 2017 or 2018 model, Chevy offers awarded vehicles in every category. City drivers will love the subcompacts Chevy Spark or Sonic. Those seeking maximum fuel-efficiency will meet their match in the Chevy Volt or Bolt EV. Families may choose sedans like the Chevy Cruze or roomy SUVs like the Tahoe or Equinox. Even those seeking electrifying performance will find their dream car in the Chevy Camaro or Corvette. Whatever your lifestyle, there’s a brand new Chevy just for you. Those hunting on a more limited budget may be introduced to our wide range of pre-owned vehicles. Our Chevy Certified pre-owned (CPO) cars are warrantied unlike any other used vehicle. Our 172-point inspection ensures the rest of our pre-owned makes and models will be safe and dependable. We believable in making car-buying affordable for all with our specials on cars under 10k. Don’t forget you have access to our robust online search of new & used inventory, making it easier than ever to shop for a vehicle in a no-pressure environment. To keep your Chevy at its best, our auto service center offers industry-leading maintenance and repairs. Our factory-trained technicians are certified to work specifically on Chevrolets, making them experts in your make and model.